We are living in extraordinary times. Our social, political, economic, and military systems are in crisis. We are consuming our planet’s limited resources, fueled by an addiction to unsustainable growth. Our traditional energy sources are becoming increasingly more difficult and messy to extract. At the same time, technology has enabled a more connected planet than ever before, and is catching up with the capabilities and limitations of our imagination alone. Much significance is being placed on this moment in time. Many cultures, including the Hopi and Tibetans, have prophesies that appear to be reaching fulfillment at this time, which foretell of great changes. Many Hindus, Christians, Jews, and Muslims believe we are living in the End Times, that we are approaching the end of one era and the beginning of another. A lot of the focus on 2012 has been related to the Mayan calendar. On December 21, 2012 the Mayan calendar leaves the 13th Baktun, and enters the 14th Baktun. Contrary to popular opinion, this is neither the end nor the beginning of the Mayan calendar. The Mayans used a base-20 calendar system, with the primary measurement of time being the day, or Kin. The traditional Mayan Long Count calendar is comprised of a cycle of 20 Baktuns, which won’t be complete for another 2,700 years. The Mayan word for a 20 Baktun cycle is Pictun, which equals 2,880,000 days, or about 7885 years. There is no traditional Mayan word for a 13 Baktun cycle, which is a modern interpretation of the Mayan calendar system first proposed in 1975. The current Pictun ends on October 13, 4772, but that is not the end of their calendar either. 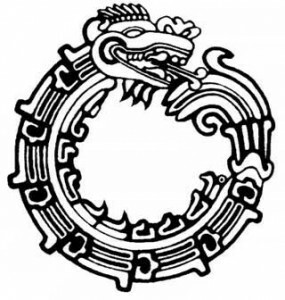 Twenty Piktuns equals a Kalabtun, twenty Kalabtuns equals a Kinchiltun, twenty Kinchiltuns equals an Alautun, and twenty Alautuns equals a Hablatun, which is the largest cycle named in the Mayan calendar system. A Hablatun equals 460,800,000,000 days, or 1,262,465,753 years. And there are examples of much larger references to time, either in the distant future or past. The Mayan calendar system does not end. However, 13 was a very significant number for the Mayans, especially in relation to time, and cycles of 13 were used for religious purposes. 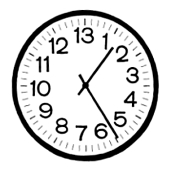 So for the Mayans, although 2012 is closer to the middle of the shortened version of their calendar called the Long Count, it would be considered an important time. And indeed, it is a very important time. We are witnessing extreme changes taking place around the world as a result of our behavior, the use of technology, and the infrastructure needed to support it. Climate, atmospheric, and oceanic changes will have a profound effect on future generations of all life on this planet, and already are. The loss of biodiversity and rate of extinction is growing at alarming rates. Our human systems are in critical states, as our population continues to reach unprecedented levels. Through the internet and global trade, we have connected the entire world, but we have also increased the rate of consumption and material waste. As Peak Oil is currently manifesting all around us, we are depleting our resources at an increasingly unsustainable rate, leaving little for the future. With advances in science, we are becoming more and more able to control our environment and create anything we can imagine, yet we seem unprepared for such a world. And here we find ourselves, on the verge of an evolutionary leap in consciousness. Are we ready for all these changes? The future is unwritten, and doesn’t have to look like the present or the past. New ideas are needed to overcome our collective obstacles. Now is the time to remember why we are here. Our destiny is what we create. Anything is possible. "On May 13, 2012 a celebration of peace happens."